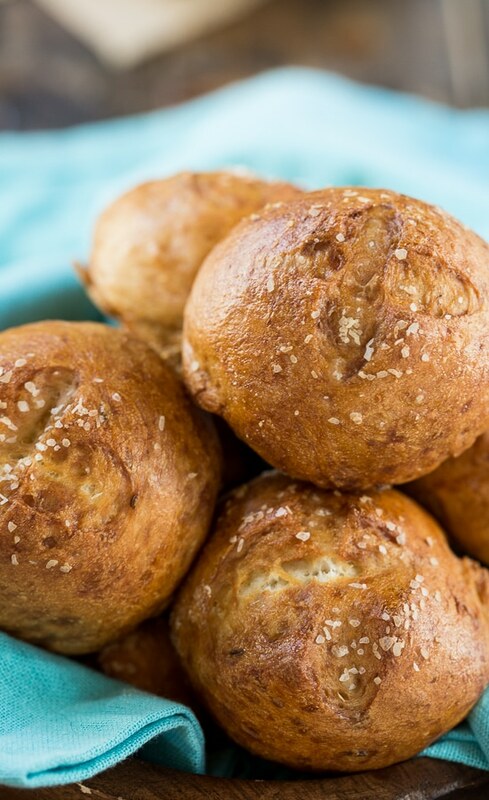 Pretzel Rolls with a salty brown crust and a chewy texture are irresistible. One taste of these rolls hot out of the oven and you’ll be asking yourself why you haven’t been making them all your life. Pretzel everything seems to be all the rage these days. I have been absolutely drooling over pretzel crusted pizzas on Pinterest. Even Wendy’s has a Pretzel-Bacon Cheeseburger. 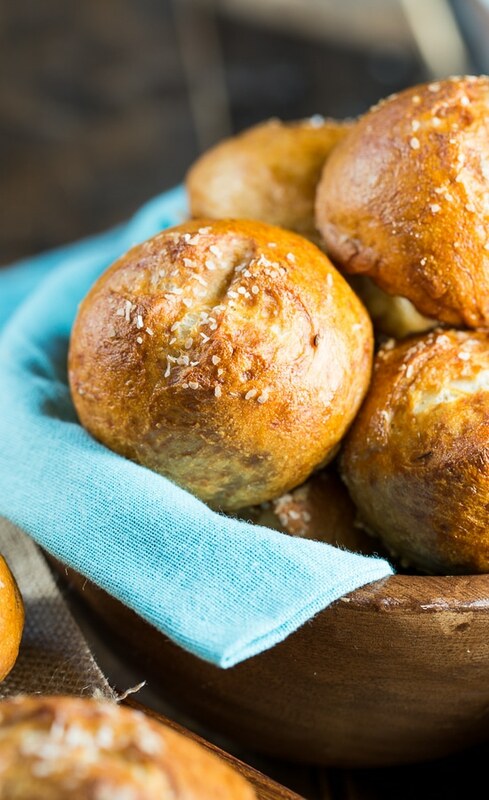 Pretzel Rolls may sound difficult to make but they truly aren’t. This recipe is from Epicurious and it is a real winner. I knew it would be from the glowing reviews. Be sure to put plenty of salt on the outside. It really makes them. You can use either caraway seeds or celery seeds to season them, but I definitely would not completely leave them out. Make the rolls a little larger to use for sandwiches. 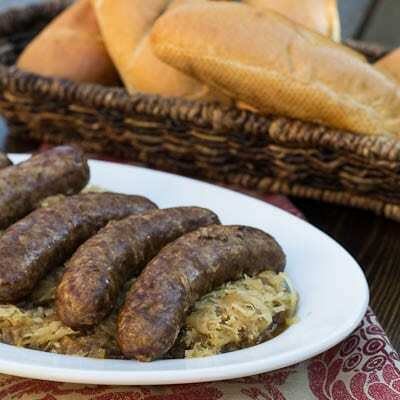 Pretzel Rolls are perfect to serve with Sweet and Sour Cabbage and Bratwurst. These Pretzel Rolls have a salty brown crust and a chewy interior. A great compliment to a German dinner. Also make delicious sandwich rolls. Place bread flour, yeast, 1 teaspoon salt, 1 teaspoon sugar, and caraway or celery seeds in food processor. Pulse to blend. With machine running, gradually add hot water through feed tube, adding just enough to form a smooth dough. Process 1 minute to knead. Place dough in a greased (with oil) bowl, turning to coat dough in oil. Cover loosely in plastic wrap and let rise in a warm, draft-free area until doubled in size, about 30 to 40 minutes. Punch dough down and knead on a lightly floured surface until smooth. Divide dough into 12 pieces. Form each piece of dough into a ball. Place dough balls on a baking sheet that has been lightly floured. Flatten each ball slightly and use a serrated knife to cut an "X" on top of each one. Cover with a towel and let rise until doubled, about 20 minutes. Preheat oven to 375 degrees. Grease a baking sheet and sprinkle with cornmeal. Bring 8 cups of water to boil in a large saucepan. Add baking soda and 2 tablespoons sugar. Add 4 rolls at a time, cooking 30 seconds per side. Transfer to prepared pan using a slotted spoon (X side up). Brush rolls with egg white and sprinkle generously with salt. Bake rolls until brown, about 25 minutes. This entry was posted in Breads and Muffins and tagged rolls. Bookmark the permalink. I have wanted to make pretzel rolls for the longest time now! I’ve done regular pretzels but never rolls! These look delicious! So perfectly browned! I am such a sucker for soft pretzels and have always wanted to try making pretzel rolls. Love the salt on these and the gorgeous color! They look absolutely perfect! Pretzel rolls really are all the rage. I can’t believe there are even hot dog buns. Looks like you picked a fabulous recipe. That brown crust and the soft chewy center sounds so good! I love making homemade pretzel rolls! They’re so tasty and irresistible! My choice of roll for almost every sandwich. Soft pretzels are my FAVE — these pretzel rolls look so chewy and amazing! Pinned! 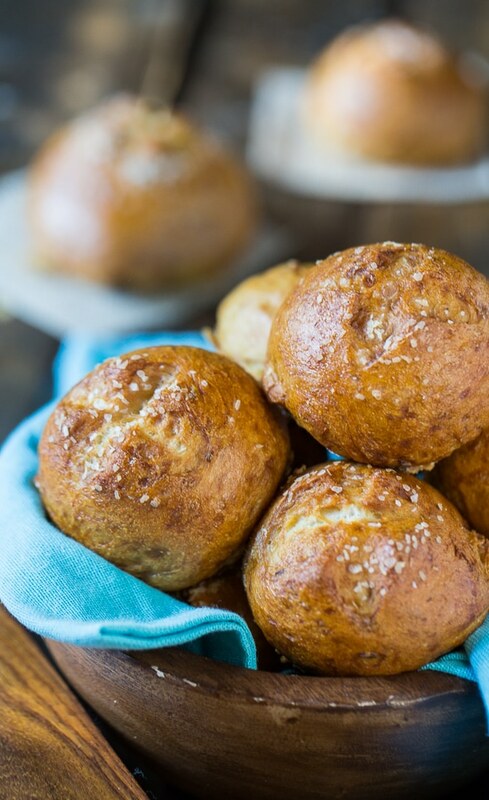 These pretzel rolls look so amazing! Love the salt on these too, such a perfect touch! These look so crisp and golden! Perfect with sausage or even as a little sandwich. I am in love with fresh pretzels, they are so hard to beat. I wish I could order these right now! I love pretzel rolls! I order them whenever I see them on the menu but have never thought to make them before! These look so good! 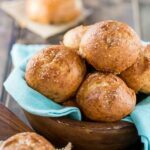 My husband is a huge fan of pretzel rolls so I need to try making them at home! I will definitely make sure to put plenty of salt on the outside too! It doesn’t get much better than homemade pretzels in any form for me, so I would love these rolls! And you bet I would eat all of my sandwiches or burgers on these! I had no idea that it was this easy to make pretzel rolls! These look so amazing, Christin! I also order these kinds of rolls whenever I see it on restaurant menus, so I love that I can make my own version. Pinned! Pretzel everything is indeed the rage – and Christin – these rolls are spectacular! I cannot stop gawking at that crust! Wow! Hi Christin, I love pretzels, make them myself, but your pretzel rolls look so great, an amazing new idea. Thanks for sharing. These pretzel rolls look amazing and so delicious! 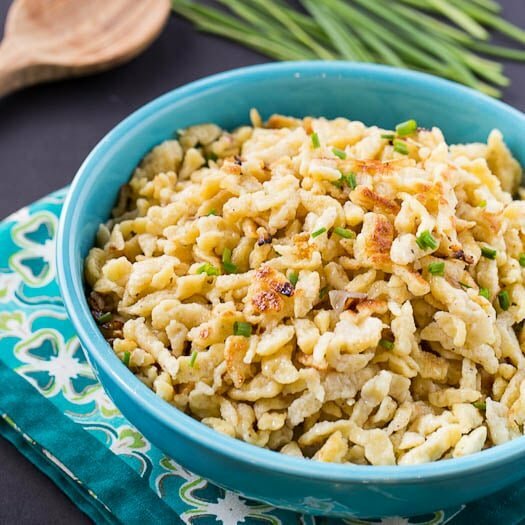 Crunchy, crisp and tasty!